Getting Uber RideShare Drivers On The Road! Want to become an Uber driver but don’t know what the Uber driver and vehicle requirements are? It can be challenging to find information about what is needed to get started for driving for yourself. We will make it easy for you to get started by providing you with exactly what you need to do. Step 1. Check if you meet all the Uber Driver & Vehicle Requirements. The Uber Requirements and driver qualifications are what you need to know before you can even become an Uber Driver partner. Step 2. Apply for Uber, by filling out an Uber Application. It will ask you for your personal information such as name, address, phone, number, a copy of your driver’s license as well as your vehicle make, model and year. Uber will do a background check to see if you have a clean driving record, no DUI’s or felonies. They will also confirm that your vehicle makes, model and year meets all Uber car requirements. Step 3. 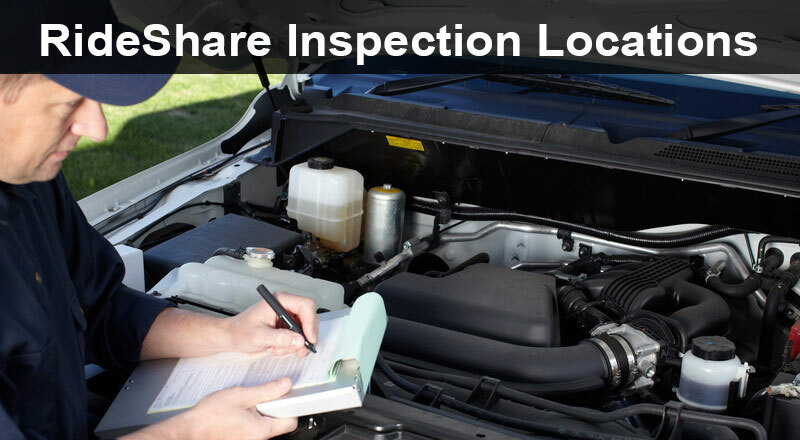 Once you have passed all the Uber driver and car requirements, you will need to get an Uber Vehicle Inspection. Uber car inspections can be done by an either an Uber Greenlight Hub location or an ASE certified mechanic of your choice. 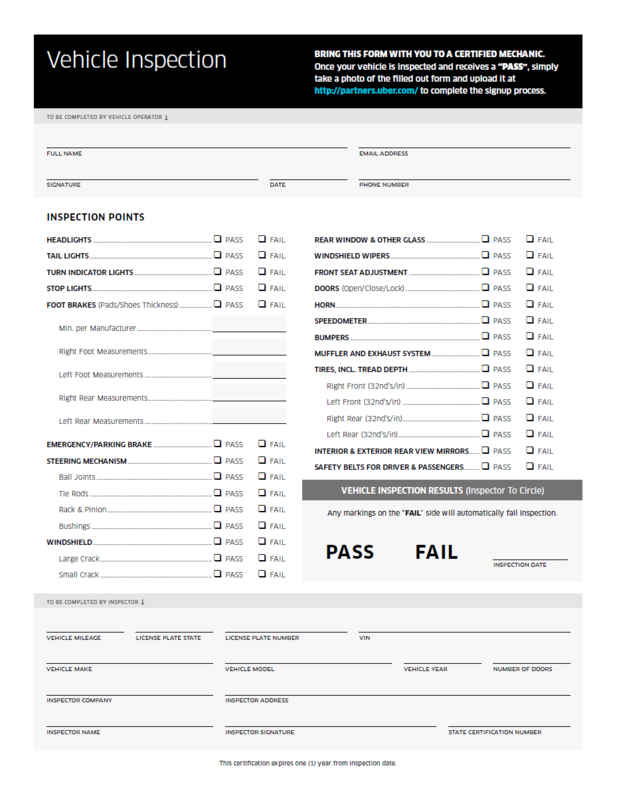 Click to download the Uber Inspection Form, as you will need to bring this to your Uber Inspection Location. At Uber Greenlight Hubs, they will give your Uber Sticker to place on your windshield. Step 4. Now that you have completed steps 1-3 and received confirmation that you have been APPROVED to become an Uber driver, you will need to download and login to the Uber Driver App. Once logged, you can go Online and Offline as you want. There is no set time that you must go or stay online as you are an independent contractor of Uber, NOT an employee. With that said, once you go online, you are letting Uber know that you are ready to start picking up riders. Note: Do not go online unless you are ready to start pickup riders. Want to Find a physical Uber Inspection Location Near You? Are You a Certifed Mechanic? Want to Perform Uber Inspections? Get listed on a Rideshare Inspection Locations directory to be found by Uber Drivers, when they are looking for Uber Inspection locations in your Area! RideShare Partner is NOT in any way endorsed by, owner(s) of, owned by, or partnered with Uber Technologies, Inc or any of its respective subsidiaries. RideShare Partner may receive compensation from Uber Partner Drivers signing up through this website. There may be information unintentionally on this website that is not completely accurate or applicable in your area. The best way to find out how you can become an Uber Driver is to Sign Up for Uber Here. © 2019 RideShare Partner. All Rights Reserved.